Before selecting a nursing school and program, students must carefully evaluate the cost of attendance. Nursing education entails a number of significant expenses, including enrollment and tuition fees, textbooks and equipment, room and board, and other living expenses. A clear budget for these costs is critical, particularly since they can vary dramatically by institution and by specific training program. One important driver of nursing education cost is the type of program. Certificate programs for aspiring certified nursing assistants (CNAs) and licensed practical nurses (LPNs) require far less time than diploma and degree programs for aspiring registered nurses (RNs). In general, the longer the nursing program, the higher the tuition cost. A second important driver of nursing education cost is the type of institution. Due to their smaller class sizes and lack of government subsidies, private nursing schools will generally cost more than public nursing schools. While nursing education can be expensive, this cost is an investment that promises higher earnings potential in the future. Indeed, the longer the nursing program, the larger the pay increase. Missouri’s CNAs and LPNs, who must complete only a brief certificate program, earn $20,000 to $40,000 per year. Registered nurses, who must hold a hospital diploma or college degree, receive $57,000 in average pay. 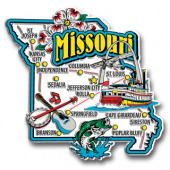 An RN with a bachelor’s degree frequently earns over $70,000 per year in Missouri. Local nursing employers include private healthcare providers, often staffed by agencies like Genesis Healthcare and Favorite Healthcare Staffing, and government facilities such as the Department of Veterans Affairs. To provide additional insight on the cost of nursing education, we’ve tallied the total expenses at a number of Missouri’s top nursing schools. You’ll find them grouped below by city and ordered from most expensive to least expensive.